Want to skip through the hassles of on-the-road traffic? If you’re rushing to reach your intended location then it would be awesome to fly on a Cessna C441 or Conquest II. This very first aircraft of Cessna has gone a long way since it was originally conceptualized. With various modifications and upgrades, the plane’s features have become more comfortable for passengers and operationally efficient for pilots. Aside from interior adjustments, the Cessna C441 or Conquest II has had engine changes for more horsepower hence increased flying ranges. This 8-seater plane is widely used by private and corporate owners, charter services and many other establishments. It has a cabin, spacious enough for passengers to relax in. The Cessna C441 or Conquest II can be flown for leisurely or business purposes. Today, over a dozen countries have imported the aircraft as many of its units are still actively being operated for short range flights. 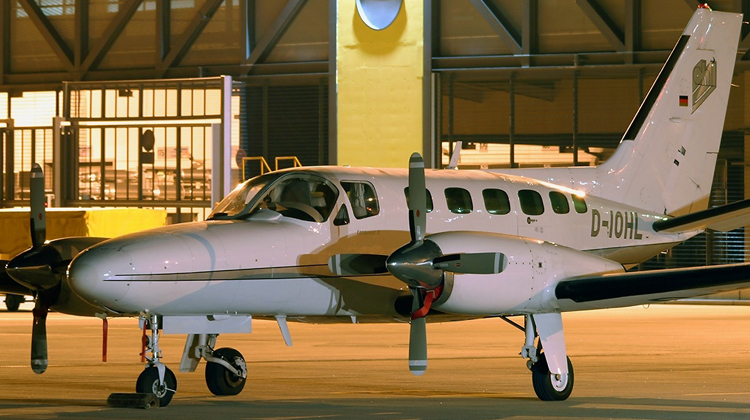 The Cessna C441 or Conquest II has pressurized cabins along with customized interior features. It allows for 8 to 10 passengers, with spaces enough for short-range flyers to unwind. This small propeller based aircraft also accommodates up to 2 flight crew members. Compared to its competing aircrafts within the same category, the Cessna C441 or Conquest II can also fly much farther and higher. The Cessna C441 or Conquest II is also powered by dual turbo propeller engines, plus it can operate on shorter runways. This aircraft is also ideal especially if you’ll be landing on smaller airports. 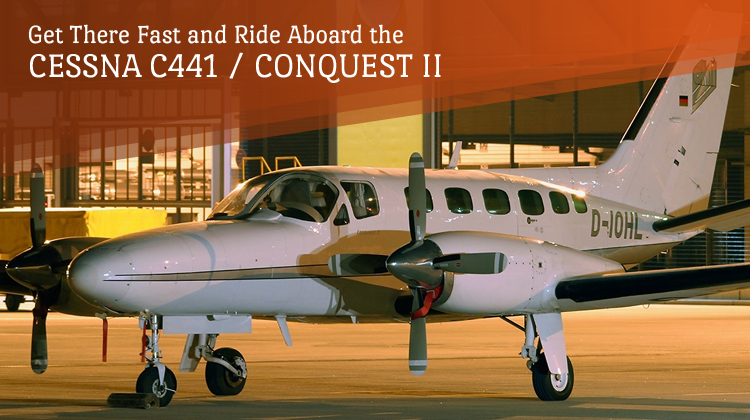 Chartering a Cessna C441 or Conquest II removes the inconveniences related to waiting on airport lines and agonizing over on-the-road traffic congestions. To get there fast, all you’ll have to do is schedule a private flight via the aircraft. In no time, you’ll reach your intended location with more time to spare. The Cessna C441 or Conquest II can fly over a thousand nautical miles much farther, compared to its competing aircrafts within the same category. To check on how you will be accommodated on your private flight, it’s also advisable to inquire about the customized features of this aircraft. Cessna C441 or Conquest II was first launched in 1977, during the Paris Air Show. The American-manufactured aircraft was first developed in the same year, as it was powered by turbo prop engines along with four-bladed propellers. It was and still is originally intended for private flights, and it constantly goes through performance-related modifications. The Cessna C441 or Conquest II was originally propelled with three blades but with the four-bladed addition, its climb and cruising rates have now improved. These led to much lesser cabin noises. Today, the Cessna C441 or Conquest II is powered by Cessna’s very own Integrated Flight Control system.